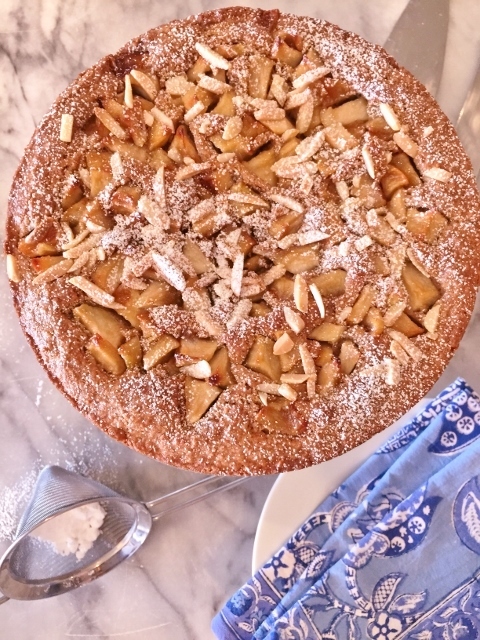 Apple Almond Coffeecake - Recipe! - Live. Love. Laugh. Food. As much as I love summer fruit, fall baking is really what I’m about. There are so many varieties of apples right now and my tree in the backyard is just ripe for picking. 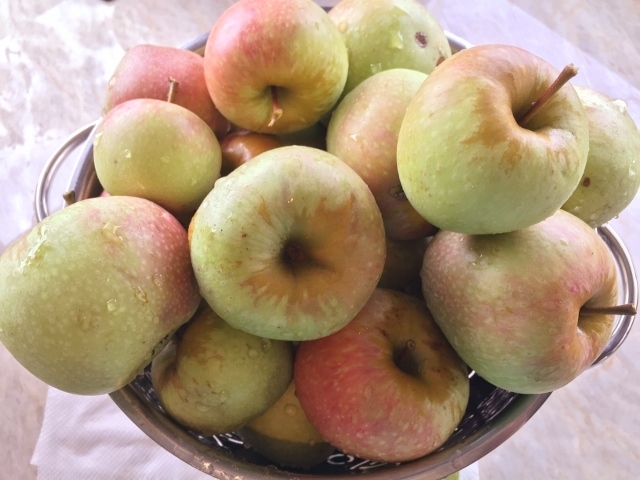 When I go to the farmer’s market I always scour the area for new varieties of apples I haven’t tried – I find it fascinating how they do differ in texture and taste. Apples are one of those things that make any dessert better and you can create so many delicious baked treats such as; pies, tarts, cakes and cookies as well as holiday favorites like; dumplings, caramel and candied apples and homemade apple sauce. If you are going to splurge on organic fruit – apples are worth it. Conventional apples are sprayed with pesticides to keep the bugs away, but if money is an issue – just wash them carefully. 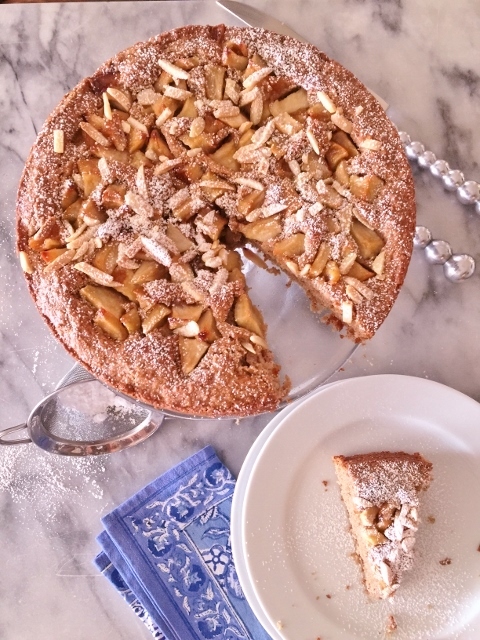 This coffeecake is light and airy and the almonds accentuate the apples in a rustic sort of way. 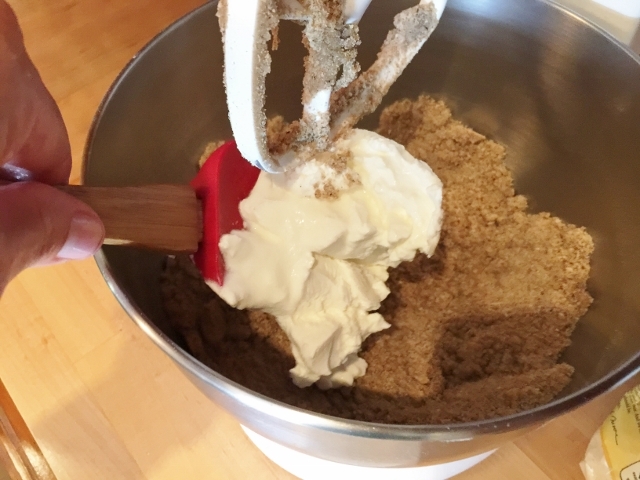 I use three different flours in this recipe because it adds to the texture and flavor of the cake. 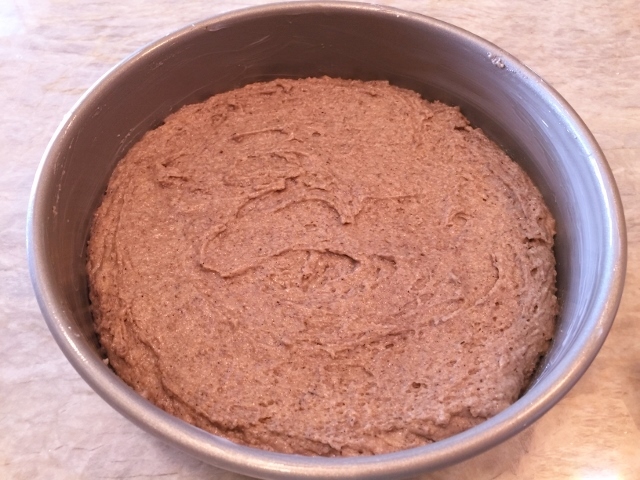 Almond flour offers a light grainy feel and buckwheat flour adds earthiness and depth. 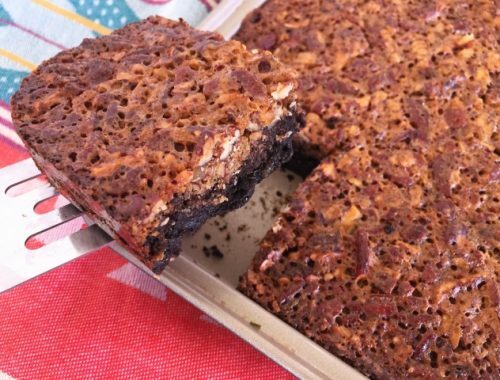 All-purpose flour adds balance and I think the combination of the three create a magnificent cake – I hope you do too! 1. Preheat oven to 350 degrees. Butter and cut a round of parchment or wax paper to fit in bottom of 9-inch cake pan. Butter top of parchment. Peel and dice apples into chunks. 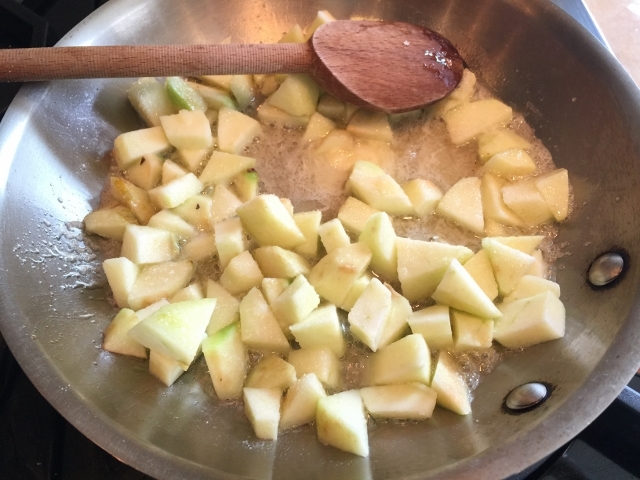 In a saute pan, add 2 tablespoons of butter, apples and 2 tablespoons of sugar. 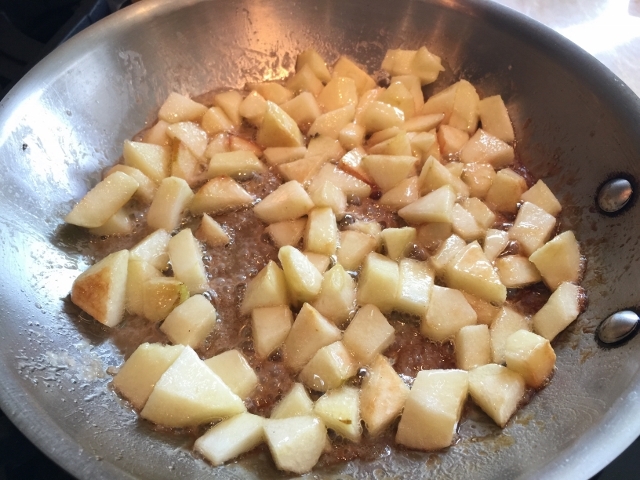 Saute apples over medium heat until slightly tender, about 8 minutes. 2. 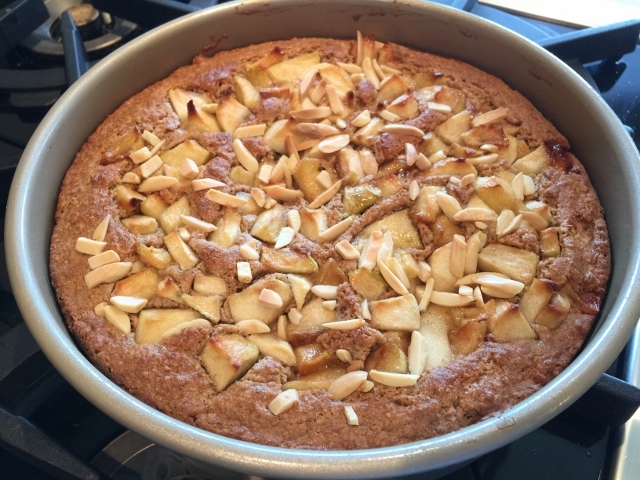 Turn off heat and let apples cool in pan, while you prepare cake. 3. 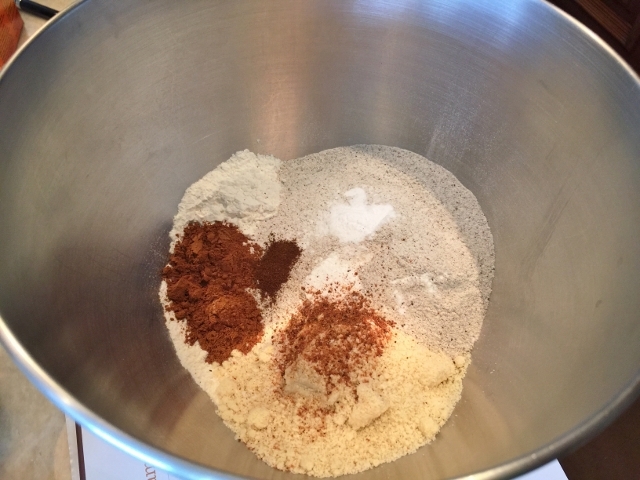 In a stand mixer, combine all flours, baking soda, baking powder, salt, cinnamon, cloves and nutmeg. Mix for 1 minute, just to remove any lumps. Add 1/3 cup sugar and brown sugar to flour mixture. Mix for 1 minute until combined. 4. 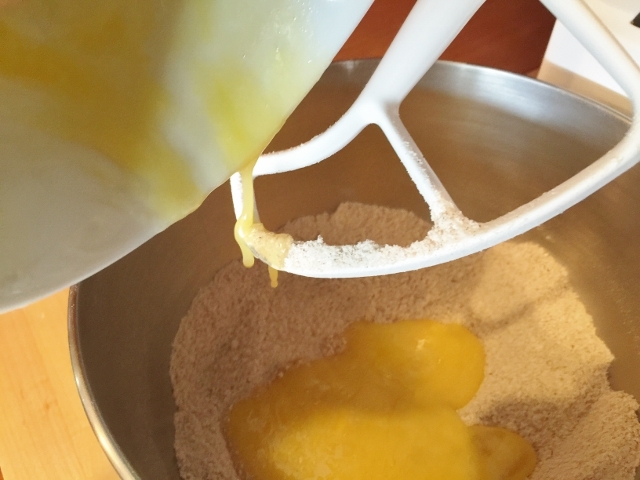 Add egg and almond extract to melted butter, whisk with a fork. 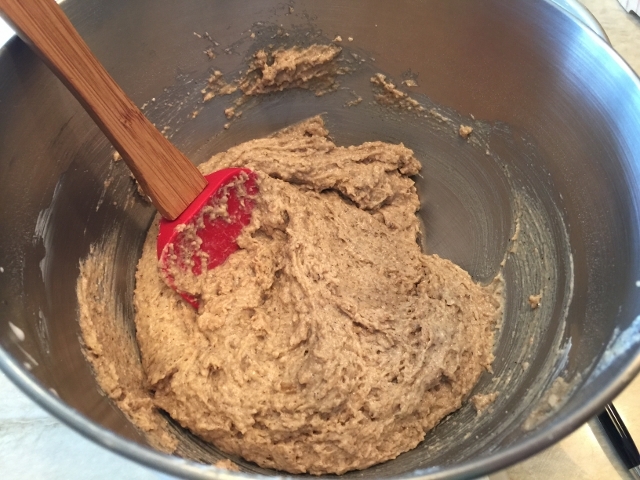 Add egg mixture into dry ingredients and mix on low for 2 minutes, or until batter looks creamy, but slightly grainy. 5. Add sour cream and milk and mix on low until just combined, about 1 minute. Do not over mix. Remove bowl and stir batter with a rubber spatula to combine. 6. Add batter to prepared pan and smooth out evenly on top. 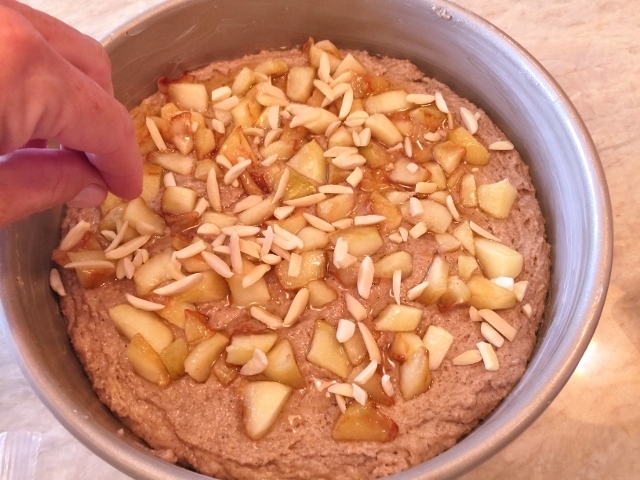 Spoon apples over top of cake batter and sprinkle almonds over apples. 7. Bake for 35-45 minutes, or until a toothpick comes out clean. Remove cake from oven and let cool in pan for 20 minutes. Loosen cake around perimeter and invert onto a clean plate. Invert cake again, apple side up. Sprinkle coffeecake with a light dusting of powdered sugar, if desired. Enjoy! 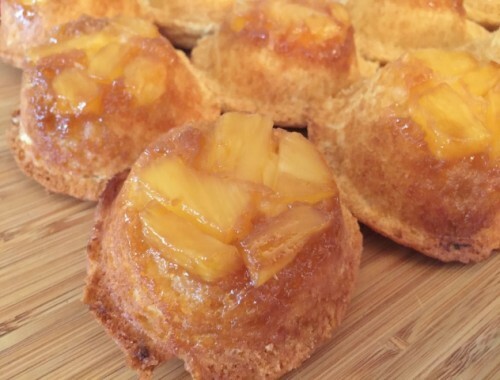 Pineapple Upside Down Muffins – Recipe! Great Way to Start Your Day! 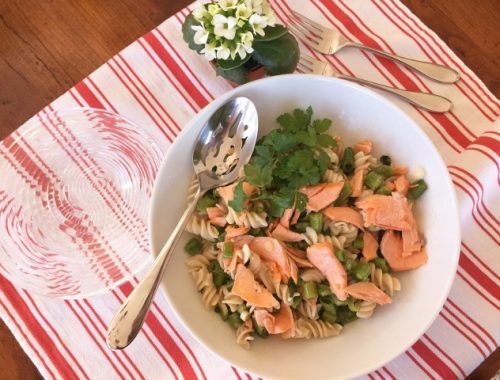 Salmon Pasta Salad – Recipe!